Sometimes when you see a game at a preview event, you don't even want to write about it. You just know that what was shown wasn't a good representation of the final game. Malicious intent isn't always to blame, either; there are just times when circumstances cause a preview to be off. That's how my first experience playing Homefront: The Revolution went some 15 months ago. After Deep Silver quit talking about this open world with so many options, I was strictly led through a demo in such a way so as to ensure I would see everything I was supposed to see. Don't get me wrong, it played fine, but I was on a leash. That didn't sit well when the presentation minutes before was predicated largely on player freedom. At an Xbox pre-gamescom event, I got my second crack at Homefront: The Revolution. It was a very different game than I had experienced little more than a year prior. And, that leash was off this time. How I long for that first demo again. When I first played Homefront: The Revolution, the world felt lived-in. The oppressive themes were apparent, but the citizens seemed to accept it and go about their daily routines (except for the ones sparking the revolution in secret, of course). I believed that this was a city I could change the face of. I saw the potential to revolt and to do so in creative ways. The chunk I recently saw was more chaotic than that. Things are on fire and smoke billows on the horizon. All those people doing everyday stuff don't exist anymore. There are a few freedom fighters, but not many. It's mostly an empty playground for me to ramp my motorcycle off stuff. 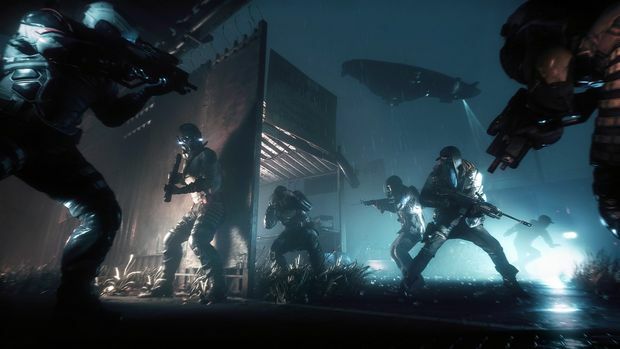 Rather than showing off a functioning city, this version of Homefront: The Revolution opted for sporadic waves of enemies. Many battles took places in warehouses, often around large crates that are meant to scream "industry!" It was all just so boring. It was like a Call of Duty where you traverse more ground before the next section of bad guys with guns. 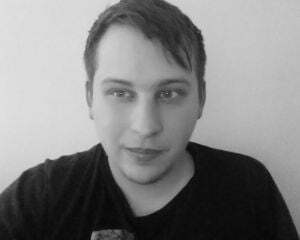 The world was still open, but the enemies acted with the scripted ways of a linear game. The player reached the top of the stairs, so it's time to charge through the door. That is to say, this demo largely erased my positive attitude toward Homefront: The Revolution. I'm not going to care about liberating a city if there's no one in that city. Its lifelessness reminded me of every shooter I've played for the past ten years and then immediately forgot about. The thing is, this can't be the true Homefront: The Revolution. Its premise is one with promise, but this slice shows none of that ambition. There's no way the game's skewed this far from concept. I guess I'll chalk this up to another misrepresentative demo, and hey -- I just broke the rule I spent the first paragraph talking about.